Here you will find a collection of some of the most commonly asked questions. Each of our projects is different from the one before making it very difficult to generalize the information presented below. We have tried our best to answer questions that clients often have when embarking on the journey of building a West Coast Log Home. If there are any other questions you have or if you found the answers below to be insufficient please feel free to get in touch with us so we can get you the information you are looking for. Does building with logs cost more than a conventional home? Why? In our experience, yes, but not by as much as you might expect. Logs and Timbers are generally considered a ‘structural’ component in your home. They augment and replace structural elements that would have to be there anyway. For example, If putting a heated concrete slab In the second story of a home you would have to support this weight with structural laminated beams, Instead log floor beams can carry this load. Not only are you replacing expensive glu-lams but you are getting the aesthetic appeal of logs. The same can be said of the roof system as well. It is best to think of Logs and Timbers as an investment in your home. Deciding to build with logs or timbers will give your home a unique look and our clients typically match this look with other high end features such as rock fireplaces, hardwood floors, and wood doors and windows. So over all log homes tend to be more expensive but this is usually due to the finishing features that go hand in hand with such a home. There are many variables that determine the final cost of a home. This is especially true of ‘custom’ built homes. The design of the home is the largest factor. Simple designs are easier to build hence cheaper. Other large factors are access, foundation requirements, finishing materials. Regional variables also apply such as local material and labor costs. The beauty of custom design is that a home can be designed for a certain budget. It is important to keep this in mind when having your dream home designed. It is always easier to add features rather than take them out. Why does WCLH not have a plan book? 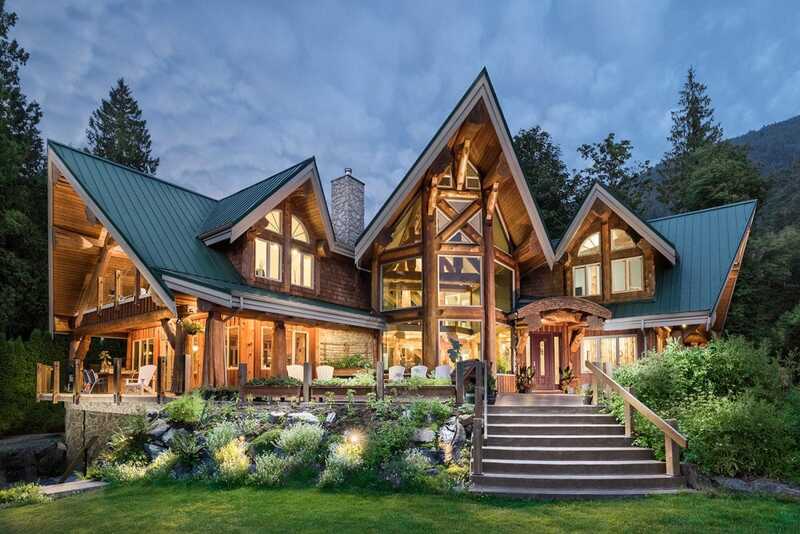 West Coast Log Homes believes that every home is unique both in use and in location. Considering the amount of money being invested in building a home it is not logical to save so little by purchasing a ‘pre-designed’ home. By working with a designer all the wants and needs of a client can be met and each home is designed to suit its location on the property. Views, natural light, and ground conditions all play a role designing a home. No plan book will meet all these variables. Plan books are a great source of ideas and inspirations that will help you make these decisions, however. Does a log home take longer to build than a conventional home? Usually it takes longer, but it doesn’t have to. Because log homes are generally custom built and designed the process is a bit more complex than when building with conventional plans. Also contractors need to adjust to working with the logs as well. But good planning and along with our commitment to working with contractors and clients many of the common pitfalls can be avoided. Building with logs and timbers also allows for offsite framing or SIP panels to be used in construction. Traditional Full Scribe log homes offer the advantage of having complete outer walls once the shell is erected on the foundation. Only the roofing, windows and doors need to be installed to be at lockup stage. How structurally safe is a log home compared to a conventional home? Log homes have historically been very safe structures. Logs and timbers have been used as structural members for hundreds of years. Today however, with strict building codes and engineering guidelines all structures are engineered to resist the forces of nature such as wind, water, and earthquakes. Is there a limit to the length of beam that can be used? Due to logistics, pieces are rarely longer than 45 feet. Unless special shipping arrangements are made this is the norm. Do the logs need special care and attention, like cedar shakes on the roof? Yes. All wooden materials that are exposed to elements need some sort of protective treatment. Cedar in itself is very resistant to decay but it will eventually fail without proper maintenance. Frequent staining with a quality product, large overhangs, and smart design will ensure your log structure lasts for many decades. Can the product be delivered anywhere? Yes. We have delivered our log packages all over the world; anywhere from major cities to locations with only water access. Depending on the size and complexity of the design between 2 to 4 months from when we start cutting logs. How long does the assembly of the log package take? Generally 1 to 2 weeks. Again, this depends on the size and complexity. Weather, location, and crane operator all play a vital role in how fast a structure is put together. We offer a standard 5 year warranty on our work guaranteeing it free from defects in material and workmanship. West Coast Log Homes has earned a reputation for exceptional quality and service. We stand behind our product 100% and are always willing to help clients with any problems they have. Will my contractor know what to do with a log home construction? If your contractor has experience working with log homes he will find our packages particularly easy to work with. Your contractor should never be required to do any modifications to the logs once the package is delivered. Over the years we have heard many stories of packages being delivered only to need weeks of additional cutting and trimming needed to make everything fit. We have had dozens of homes finished by contractors that have never worked with logs before. With our after sales support we ensure every contractor has the information needed to work with our logs. Are there special requirements for trades to work in a log home? No. All details are included with the plans. There should be no problems for any trades to work with logs. Do log homes insulate better than conventional? Full scribe log homes definitely have superior thermal properties compared to conventionally framed homes. Logs have much more thermal mass than conventional 2×6 walls which allows a greater retention of heat in the winter and cooling in the the summer. Basically log walls take longer to warm up but once warm they stay warm much longer. No. Kiln drying whole cedar logs is not only unpractical it is very expensive. Cedar has superior shrinkage characteristics so Kiln drying does not provide a huge benefit. Kiln drying is very useful for interior applications such as furniture where the wood will stay in a constant climate. But because whole logs are exposed to the elements in a log home the logs moisture content will constantly change. The logs will air dry over time and by using proper settling details during construction there are no problems with using green logs. Are there height restrictions with log homes? We do not recommend building full scribe homes beyond 1 story or 10-12 rounds of logs. Above this height settling becomes a huge issue. However Post and Beam can be used above this height. It Is possible to build 3-4 level homes this way with no problems. Height restrictions are typically defined by local building codes. Are there more engineering problems or complications with log homes? Most homes built today must be engineered by a qualified professional. Since the log package is typically a structural component in a home this is no exception. 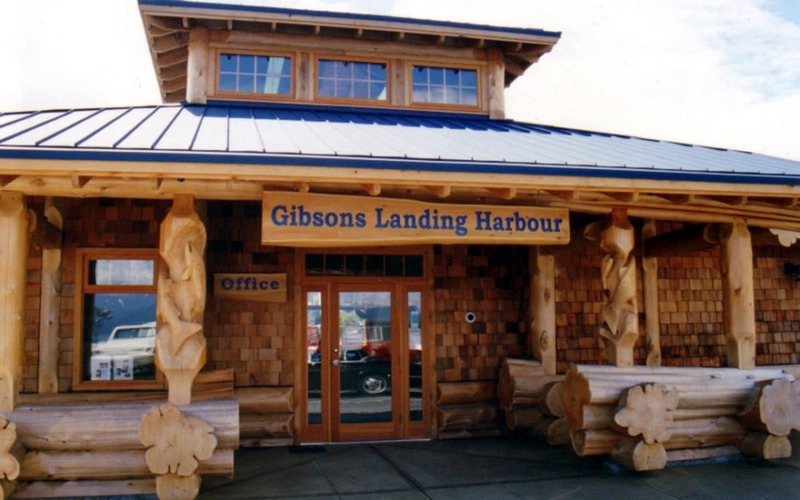 West Coast Log Homes will work with your local engineer and our designers to meet any engineering requirements. How long will a log home last? With proper maintenance and design a log home can technically last indefinitely. With today’s building codes and advanced construction materials homes can last for many generations. Many log homes are built for clients wishing to pass a building legacy on to subsequent generations of family. Can the logs be stained to a color of our choice? Logs can be stained any color you wish. The general rule of thumb is the darker you go the longer it will last. most clients choose a slightly darker than natural stain.